Profilo is predicted to take the beauty market by storm in 2019, and for good reason. The first of its kind, this hydrating and re-texturising treatment can easily swipe years off your face. Intrigued? 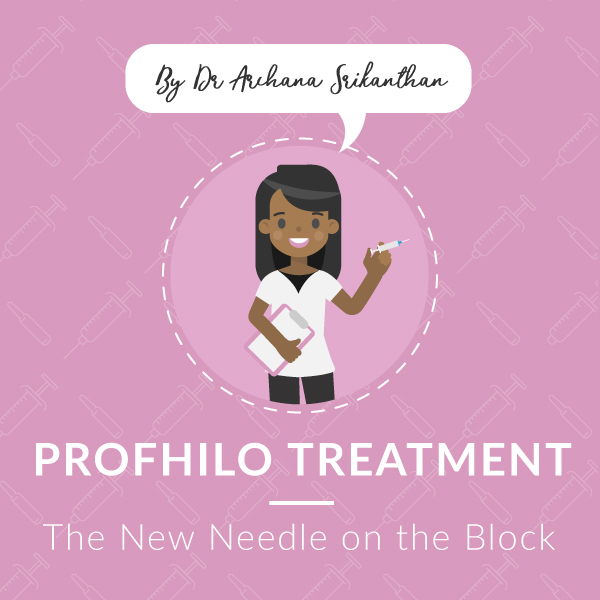 Read on to discover how Profhilo works and what results the treatment can deliver. 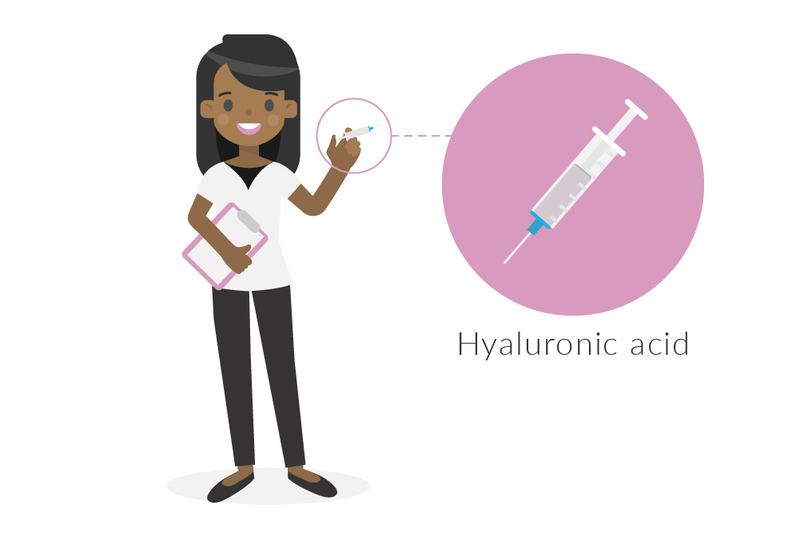 Profhilo is a unique injectable made from hyaluronic acid (HA). Don’t let the word ‘acid’ put you off; HA is a substance found in many skincare products, and your body actually produces the substance naturally – although your supply diminishes as you age. This super-hydrating substance has one main job, and that is to nourish and plump your skin. It’s essentially a magnet for moisture, and an expert at – literally – injecting new life into your skin in a way no shop-bought lotion ever could. Profhilo is often likened to dermal fillers, but while both treatments share some similarities, Profhilo acts as a hydrator – not a filler. This makes it perfect for treating those more delicate skin areas, and for ensuring the effects are spread smoothly and evenly across your skin. 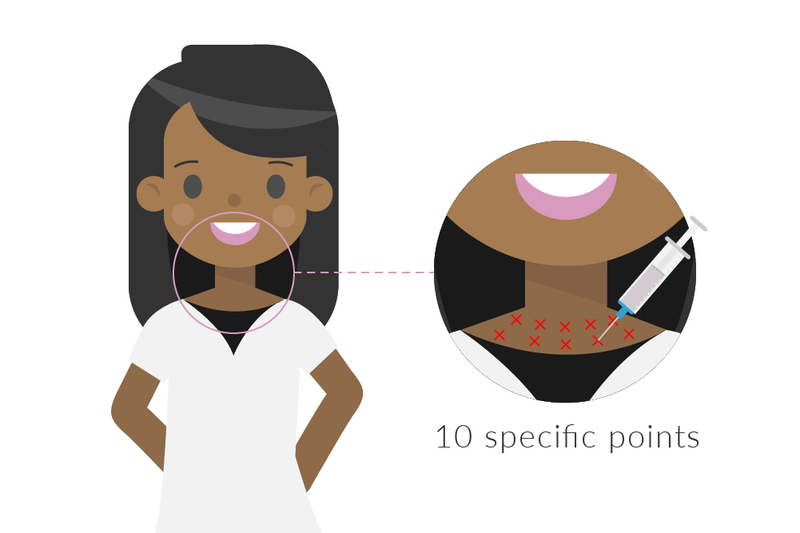 The treatment is injected just under the surface of your skin in 10 specific points. Once injected, the substance immediately begins to spread, and will continue to do so for a period of around 28 days. This slow and steady release of hyaluronic acid stimulates your skin’s production of collagen and elastin, firming up sagging areas and giving your skin an enviable luminous glow. If you’re prone to sagging, lifeless skin, whether that be on your face, neck, hands or decolletage, Profhilo will be your new best friend. What separates this treatment from others on the market is its ability to hydrate, lift and firm your complexion from the inside out, in addition to ironing out those pesky fine lines and creases. Profhilo doesn’t always have an immediate effect, so don’t worry if you find yourself leaving the clinic looking the same as when you went in. Because the treatment works off your body’s own supply of skin-boosting ingredients, it might take a few days before you start to notice any obvious improvement. Rest assured though, the more collagen your skin produces (and it’ll be producing a lot) the more radiant your skin will become. 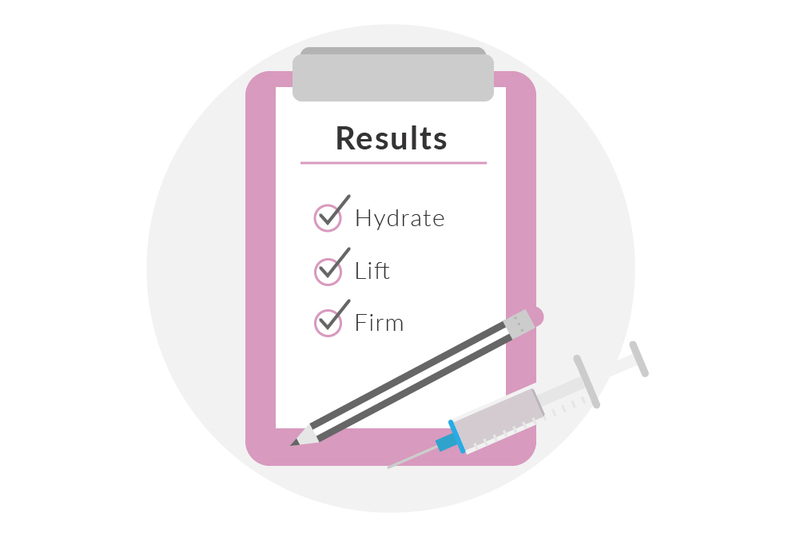 While one treatment can be enough to achieve noticeable results, many people choose to book a second treatment 4 weeks after the first. To maintain your skin’s new, tighter texture we recommended that you return for a top-up every 4-6 weeks. 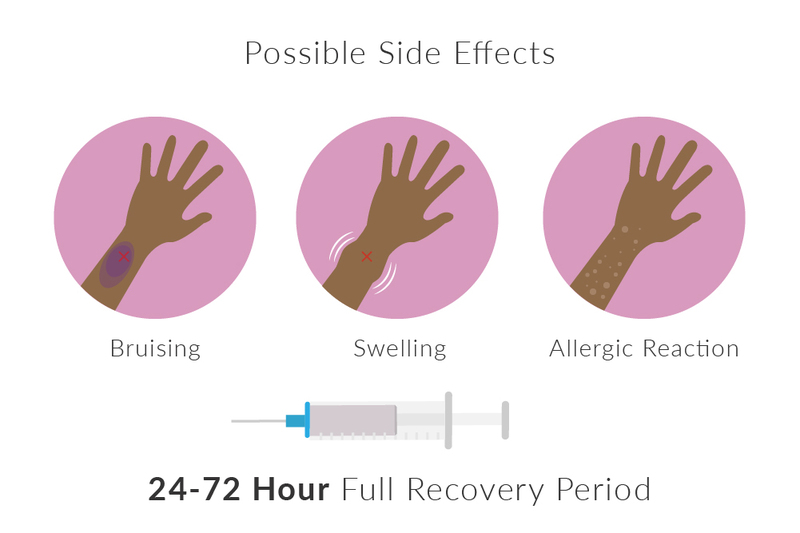 As with any injectable treatment, there are minor risks and side effects which can include bruising, swelling, allergic reactions and infection – all of which are rare. It’s completely normal for your skin to feel tender for the first 24 – 72 hours after your treatment. Just avoid wearing heavy makeup, exfoliating and sunbathing until the tenderness fades. So how much does Profhilo cost and where can you get it done? It’s important to make sure Profhilo is always performed by a licensed aesthetic doctor at a reputable clinic. At Arch Aesthetics, we offer an array of safe and high-quality cosmetic treatments, including Profhilo. 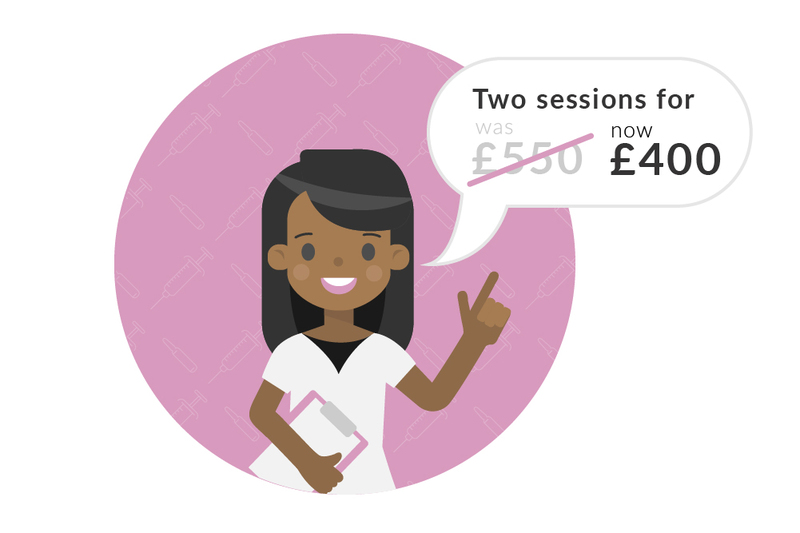 Two sessions of Profhilo are usually priced at £550, but at Arch Aesthetics we’re currently running a special offer on our Profhilo treatments which offers you two sessions for £400 – a huge saving of £150*. There’s never been a better time to give your skin a boost! For more information about our Profhilo treatments, or to book a consultation, please click here.